Our staff works hard to assure quality food & service! 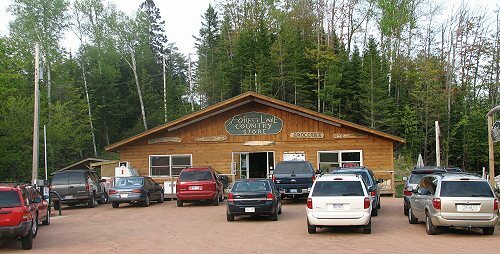 The Forest Lake Country Store is located in north central Vilas County at the top of Wisconsin. Conveniently located on County Road B, adjacent to the bicycle and snowmobile trail systems. The store is surrounded by lakes, woods and a ton of serenity. We are a combination Restaurant, Grocery/Convenience store, and community gathering spot to meet or make friends. Visit the Forest Lake Country Store on your next stop and it will become a regular part of your travel plans. No part of the web site may be reproduced without prior written permission.